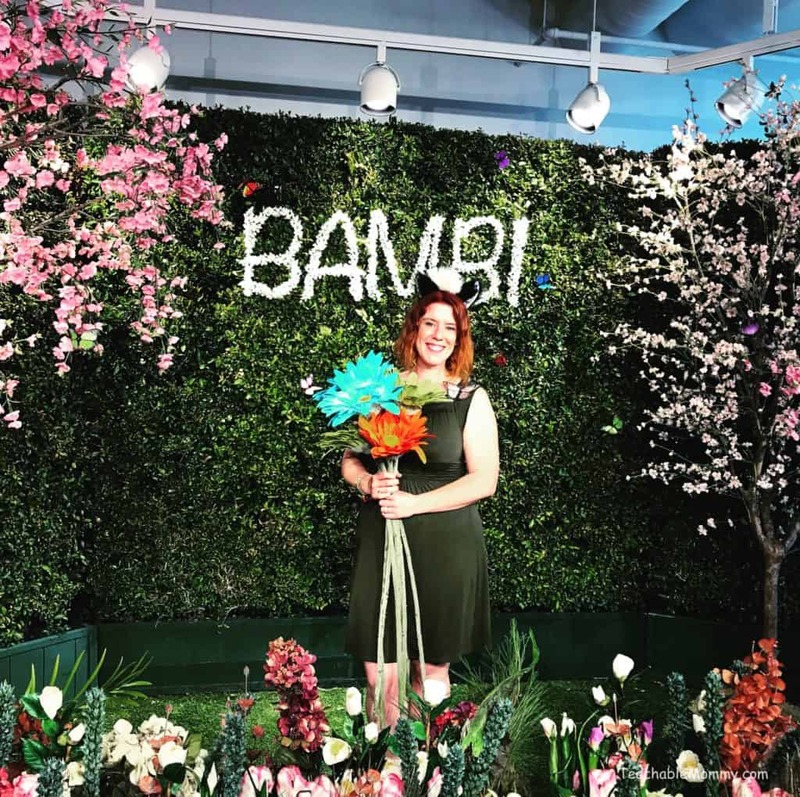 Bambi is celebrating its 75th anniversary! It is the fourth movie to join the Walt Disney Signature Collection. 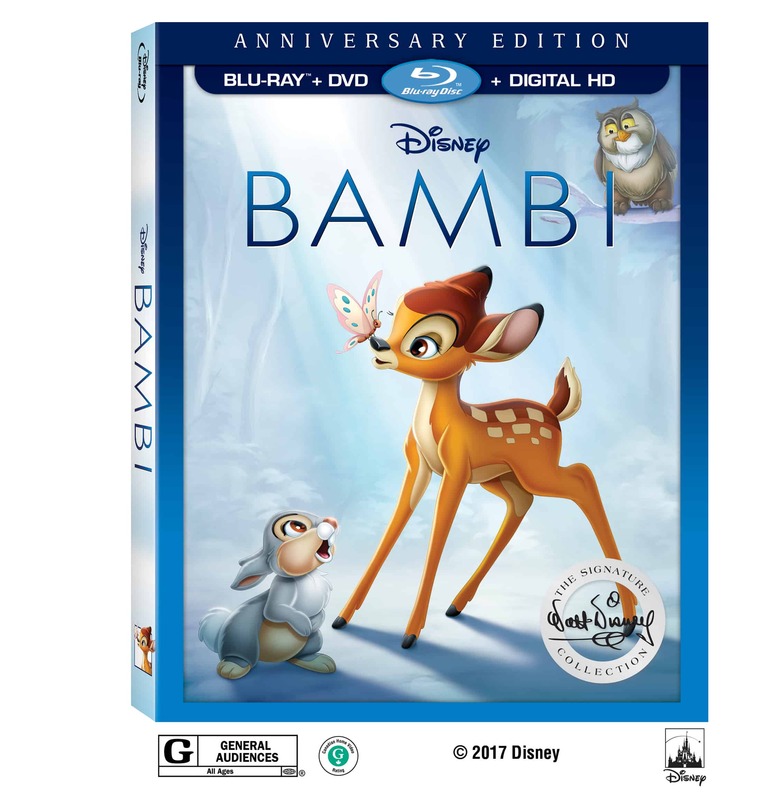 To celebrate, you can bring home Bambi on Blu-Ray and Digital HD with all new special features that show you the rich history of this classic film. I was excited to be sent home with a copy of the Blu-Ray + Digital HD. Our other copy of Bambi is just a standard DVD. The quality of the Blu-Ray blows the other out of the water. It feels like new life was breathed into the animation and the intricacies of the characters and the environment are more pronounced. Bambi and his forest friends are moving along beautiful paintings as they tell the story of friendship, loss, and love. 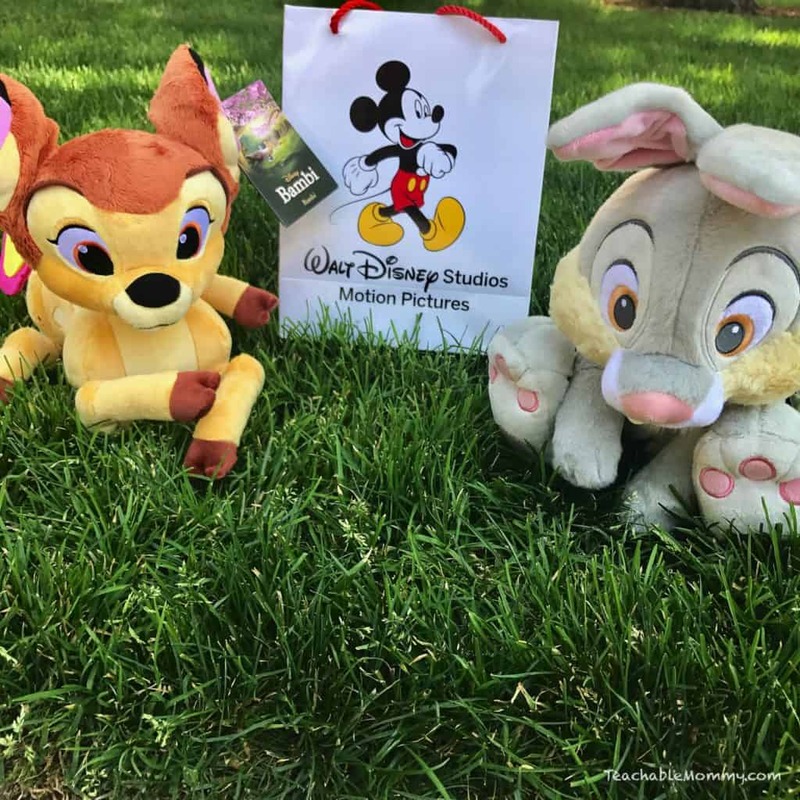 Bambi is a must have for your Disney movie collection! The Bambi Effect– Bambi was full of innovations for its time. Take a look at how those past innovations affected future Disney animated titles, all the way up to today. 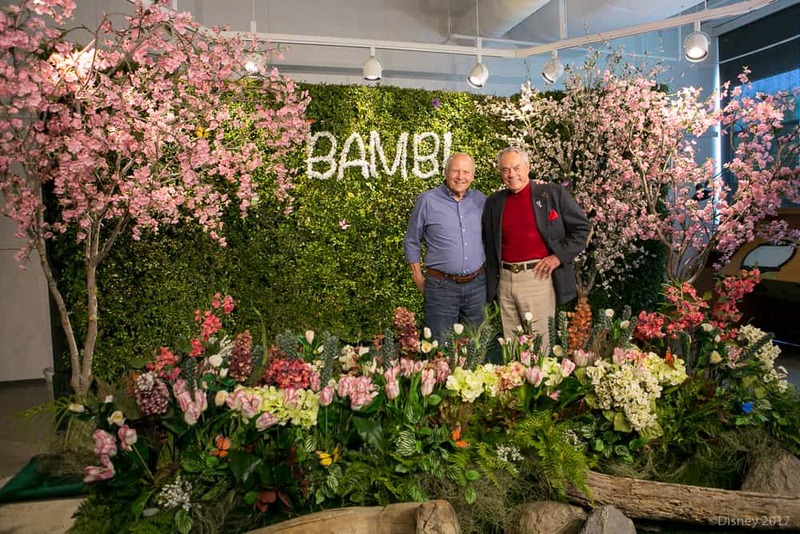 Studio Stories:”Bambi”– Listen in on intimate moments where Walt Disney discusses the challenges, pitfalls, and triumphs during production of Bambi. Bambi Fawn Facts- Think you know everything there is to know about Bambi and his friends? Discover fun real-life facts about the creatures that live in the forest he calls home. Celebrating Tyrus Wong (Digital Exclusive)- A heartfelt look at the man who played a key role in the success of Bambi. He had a unique signature style all to his own. 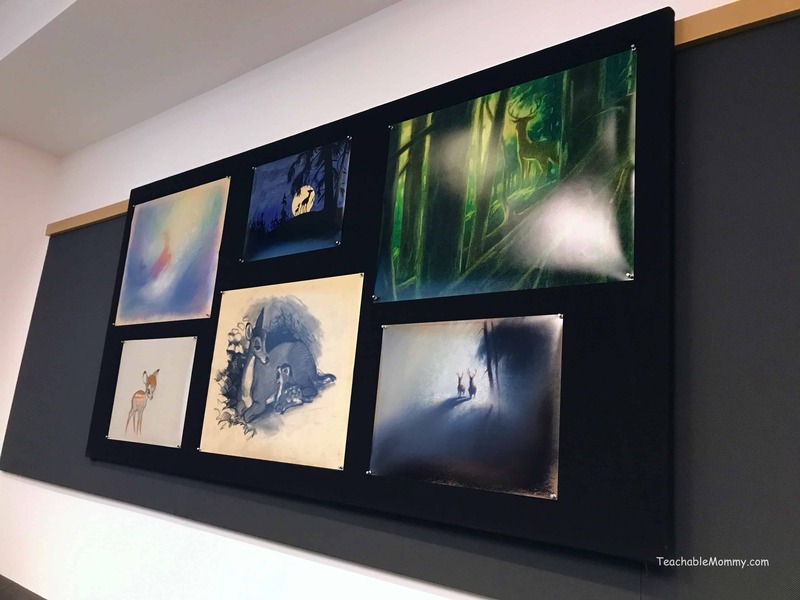 The soft water-colored backgrounds and beautiful palettes in Bambi were inspired by Tyrus’ concept art paintings. 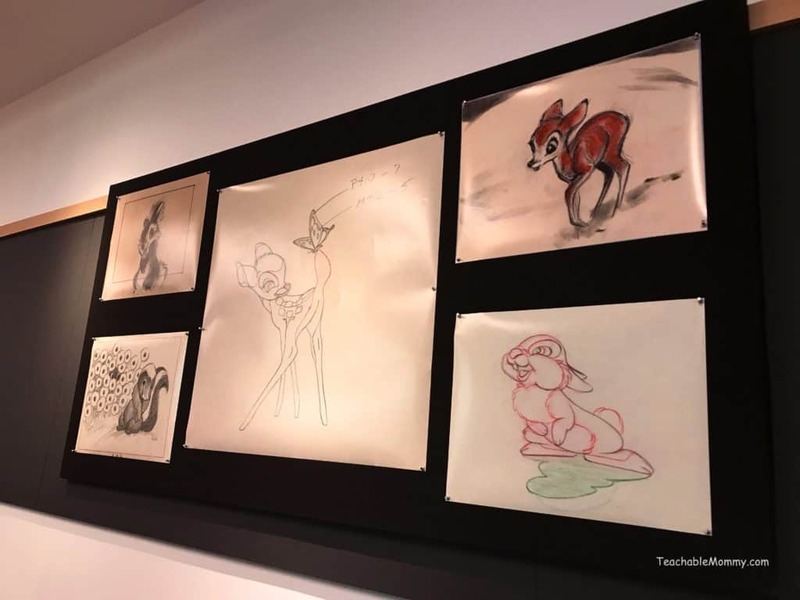 While visiting the Walt Disney Animation Studios, I had the honor of speaking to Donnie Dunagan (young Bambi) and Peter Behn (young Thumper). It was amazing to hear their stories about what it was like making the movie and working with Walt Disney. 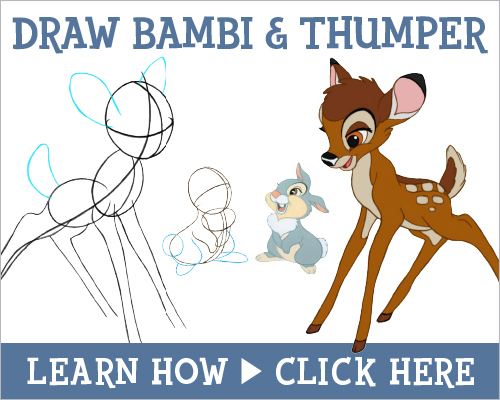 I remember as a kid, playing with the figurines of Bambi, Thumper, and Flower. My kids now play with their plushes and the new figurines available at the Disney Store. Just look at these two, you know you want to bring them home! When I saw they had this adorable backdrop for us to play with, I knew exactly who I was going to be! Bonus: Disney Movie Rewards is offering an exclusive tank top, featuring the beautiful artwork of Paul Felix. Get it today with your purchase of Bambi. Visit Disney Movie Rewards for all the details. 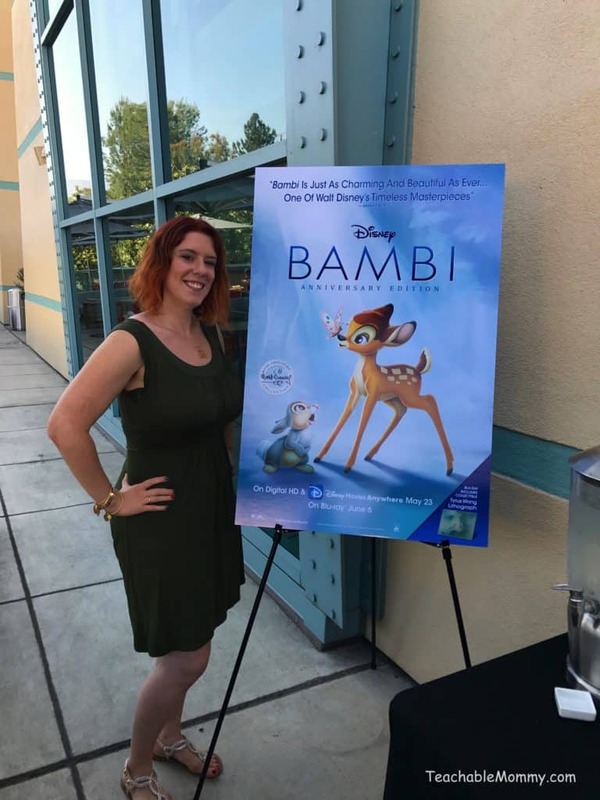 Bambi is available today on Blu-ray! I was invited by Disney for a special press trip to share my experience of Pirates and Bambi with my readers. All opinions are my own. Previous Post: « Family Fun at the Quicken Loans National! I loved Bambi when I was little. I can’t wait to show it to my own kids. OMG I HAVE NOT seen this movie in EONS !!! I can’t wait to get my hands on a copy! Bambi was one of my favorite Disney movies. I’m excited to see how the graphics have changed! I need to pick this up. It made me cry a lot when I was a kid, but I liked the story. I just hosted a Disney dinner party where the main course was Bambi’s Mom. Now I’m going to feel guilty seeing this movie everywhere. Lol. I am excited to introduce my son to Thumper though! Wow, looks like you had a great time getting information on this movie. Bambi is such a great movie, it was the first movie I ever saw in the theaters. 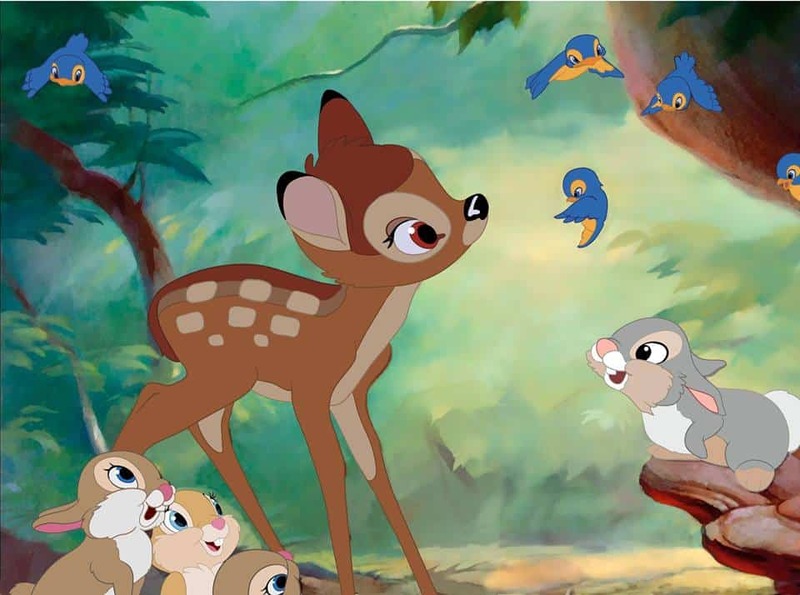 Bambi is such a classic, I can;t wait until it is released from the Disney Vault! The ending does pull at my heartstrings but it’s still such a cute movie. Wow, 75 years! Just goes to show how a good cartoon can last through the ages. I agree.Blue Ray makes movies much better and I do love Bambi. It is such a classic Disney tale ! My daughter and I love Bambi our favorite movie. So excited to see it again !! I love the plushies! It would be so fun to see the deleted scenes from Bambi. I haven’t seen that movie since I was a kid. It will be fun to show it to my kids. 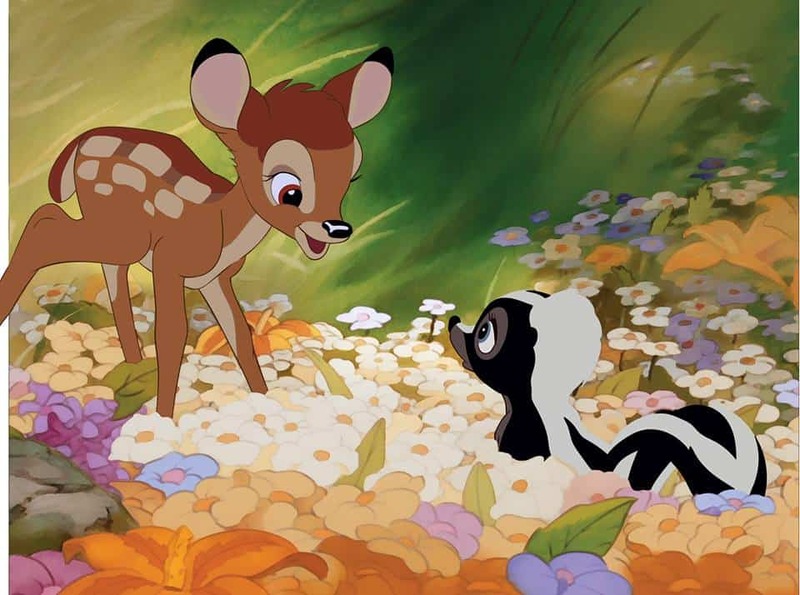 I loved Bambi as a kid – still makes me cry to this day! It seems nice. I think my kids will love it. 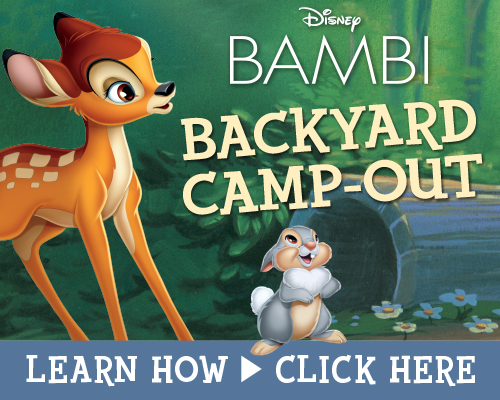 Bambi is a classic and every child’s favorite movie. It’s amazing that it has been around for 75 years. I can’t believe it’s Bambi’s 75th anniversary!!! I didn’t realize the movie has been around that long. It was one of my favorites as a kid. I must have seen it 1000 times! Bambi has always been one of my favorite Disney movies since I was a young child. I am going to have to get this on Blu-ray and watch it with my nieces and nephews. The message is what makes the story. Thanks for sharing this awesome movie.